The cafe will be open on Wednesdays, Thursdays and Fridays as usual for the first 3 weeks of August. 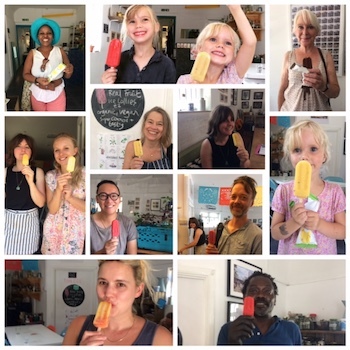 Local Squeeze will be hosting on Wednesdays, on Thursdays Geoff will be keeping the show on the road with a simplified summer menu as well as our usual homemade cakes, cordials and ice lollies. Guest chefs, Despina and Vizzy will be stepping up for the Friday lunches, so please keep coming! 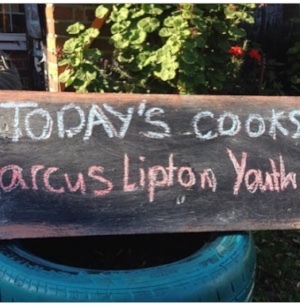 Thurs 16 Farm Lunch Fri 17 Marcus Lipton Youth Club Cafe Take over! The kids form Marcus Lipton youth club will be back as guest chefs in the Cafe. They’ve done it before – it was chaos (in a very good way) and the food was delicious! They cooked portobello mushroom burgers with sweet potato fries and salad that they helped grow in the gardens at Marcus Lipton. It was a great day. This time the team will be having some training in the kitchen beforehand so we’re expecting even better things. Please come and support them – it’ll be a fun event as well as a great learning experience for the young people who also get to keep the profits.